The use of chemical bonds to fasten reinforcement bars in existing concrete structures has been widely developed in the previous years, showing in many cases higher bond values compared to cast in rebars due to better performance of the adhesive mortar. However, at elevated temperatures the concrete-adhesive bond tends to weaken endangering the construction under a fire situation. The paper presents the result of an experimental campaign carried out at Scientific and Technical Center of Building and Politecnico di Milano laboratories on a post-installed connection using vinyl-ester polymer. 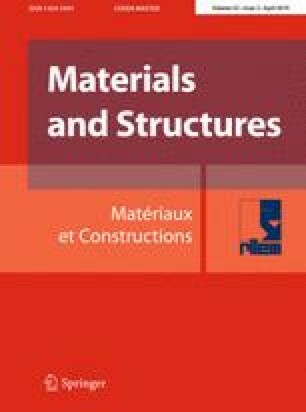 This paper aims to investigate the behavior of rebar connections through chemical resin when subjected to high temperatures, with particular emphasis on the effects of water vaporization in the concrete and on the influence of heating procedures on the mortar post-curing. Two different pull-out test procedures were adopted, differentiating each other for the loading and heating sequences. Results showed that specimens with the same water content may present different thermal gradients; however, comparable mean temperatures along the bar are detected for the same values of applied load. Moreover, for a given temperature, the increase of bond strength with exposure time showed a convergence towards an asymptotic value. The support to the experimental work provided by both Polytechnic of Milan and CSTB Laboratories is gratefully acknowledged. Special thanks to eng. Andrea Consiglio for his support in the setting up and execution of the tests and to prof. Cristina Tedeschi for her support in mercury intrusion porosimetry testing. The authors declare that they have no potential conflict of interest with respect to the scope or to the content of the present work.